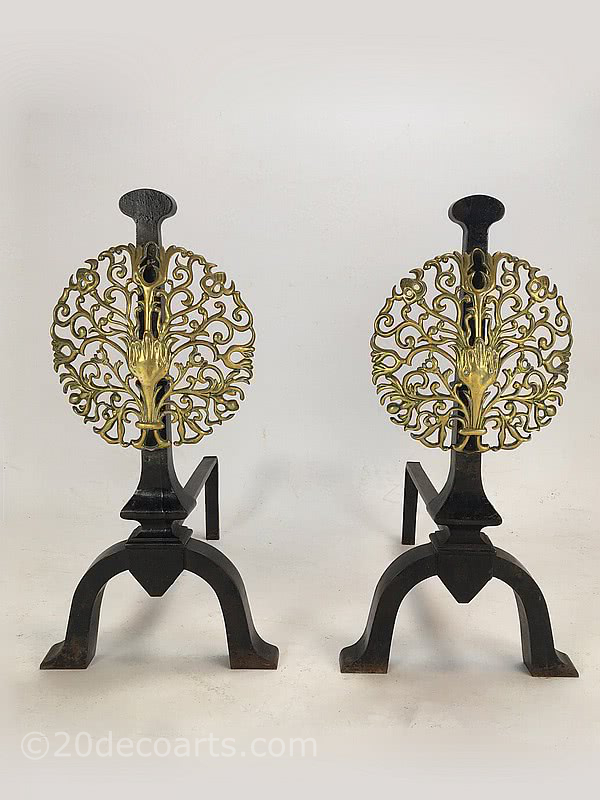 The Artificers Guild - A Pair of Iron and Brass Andirons. 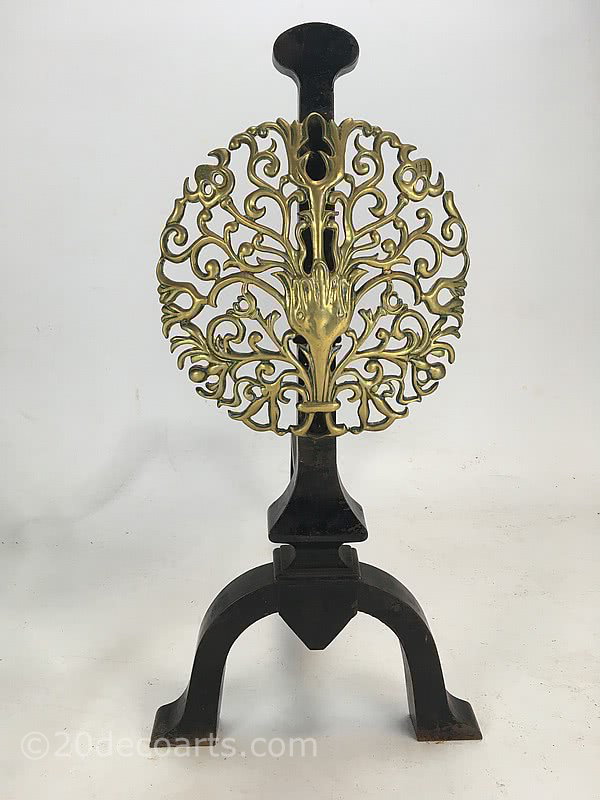 The Artificers' Guild was founded in 1901 by Nelson Dawson, with Edward Spencer (1873 - 1938) as the principal designer and director of the guild's workshops. It was one of the few guilds inspired by the Arts and Crafts movement to enjoy real commercial success, and remained in operation until 1938. The Guild is now recognized as an important producer of high quality metalwork and jewellery during this period. 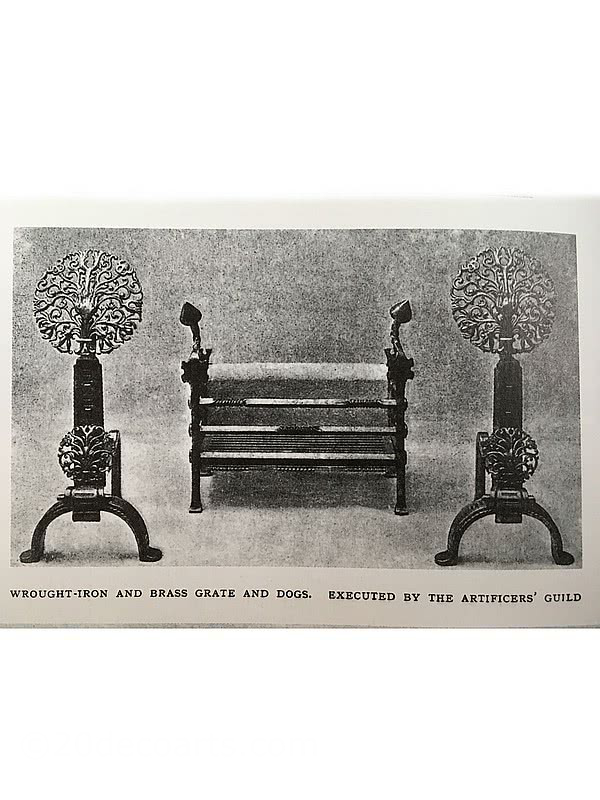 A pair of fire dogs with the same brass casting by The Artificers Guild can be found illustrated in the Studio Year Book of 1917...see above.